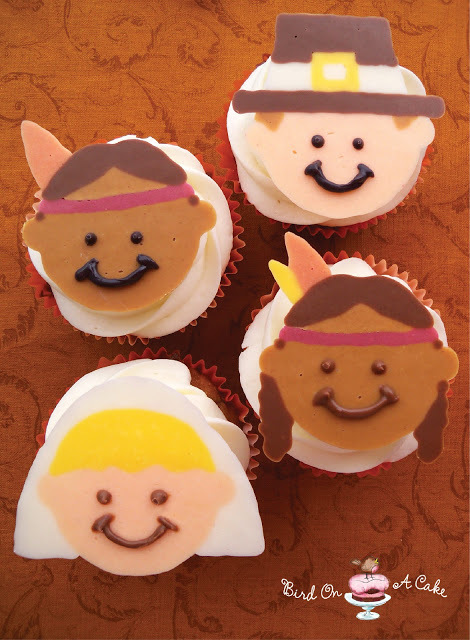 I am thinking that, in addition to using it for cute cupcake toppers, you could print it out and use it as a place mat for the kids table. They could color it and decorate their own faces. 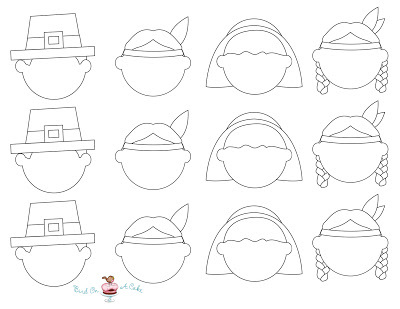 You can check out the cupcake topper tutorial and download the free Thanksgiving pilgrim template over at Bird On A Cake.